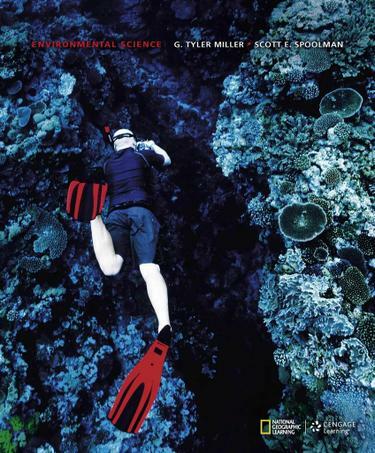 Inspiring people to care about the planet … In the new edition of ENVIRONNMENTAL SCIENCE, authors Tyler Miller and Scott Spoolman have partnered with the National Geographic Society to develop a text that will equip you with the inspiration and knowledge you need to make a difference solving today's environmental issues. Exclusive content highlights important work of National Geographic Explorers and Grantees and features over 180 new photos, maps, and illustrations that bring course concepts to life. Using this empowering book, you will learn how nature works, how you interact with it, and how you can use various scientific principles based on how nature has sustained life on the earth for billions of years to live more sustainably.